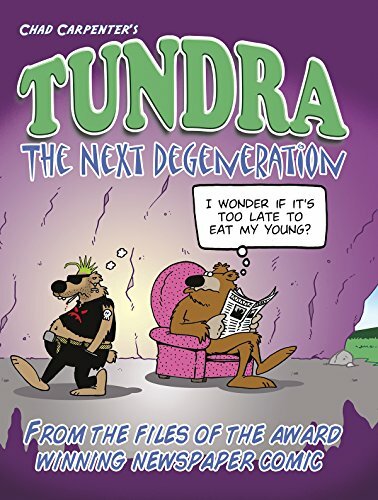 Synopsis: The newest collection of Tundra comics from Chad Carpenter, based around his eldest child Castle. This book includes nearly 400 full-color comic strips, and some of them are actually funny this time. Chad Carpenter has turned his artwork into a thriving comic strip known as Tundra which now runs in almost 500 newspapers throughout the U.S., Canada, Europe and even Jamaica & Trinidad. In May of 2008 Chad was presented with the Reuben Award for "Best Newspaper Panel" by the National Cartoonist Society.